This Virginia planter turned soldier then national leader richly deserved the title frequently given him: Father of His Country. As a young Virginia militia colonel, Washington fought in the first battles of the French and Indian War, was active in the independence movement, and was chosen by the Continental Congress to lead the newly formed Continental Army. He was overall commander of the American military effort during the revolution. Victorious, he could have become king or dictator, but chose instead to retire to his beloved plantation, Mount Vernon, until he was called on to preside over the Constitutional Convention and then to become first president of the United States under the new Constitution. 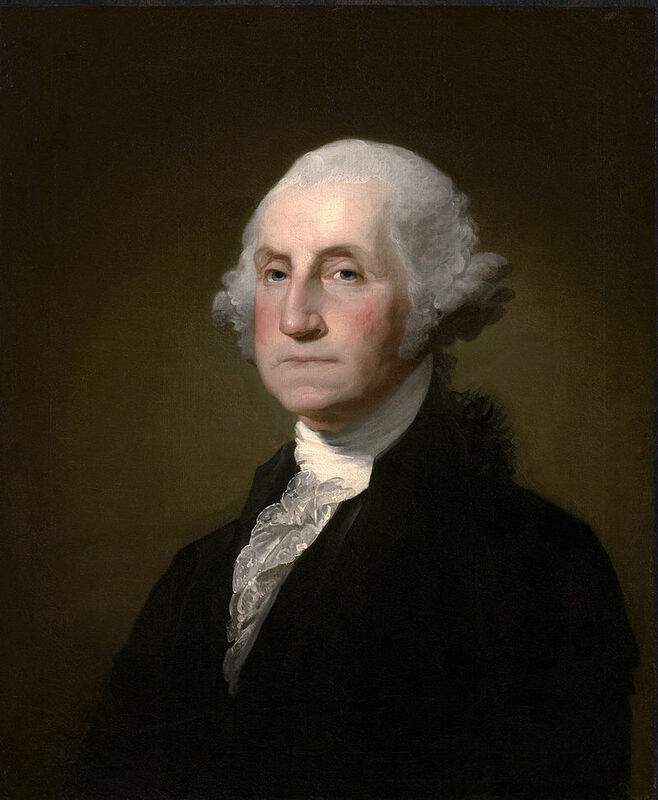 He served two terms, from 1789 to 1797, in effect creating the office of the chief executive even as he led the nation through its infancy.